Redemption's Champion: Why Redemption's Champion? It was like hearing my name for the first time. Mother Teresa said, "Kind words can be short and easy to speak, but their echoes are truly endless." This phrase echoed in my spirit and I knew what I need to do - start blogging again. Blogging has been a part of my life for almost 10 years, but this is the first time I feel led to launch a blog. I was in a season of "white knuckling it" and this phrase instantly changed the trajectory of my life. Redemption’s Champion is a place for His to Spirit to move freely. A place for hope and healing. A place for me to be transparent and ask you to do the same. A place where we can share our struggles and our victories. A place where we can grow in relationship with Him and each other. This is a place to celebrate with you on the mountain top and encourage you in the valley. A place to encourage you to steward your victories. This is a place of fellowship. Over the last year my dreams have been reawakened. The Lord gently beckoning me to dream again, step out, trust and be who He has called me to be. 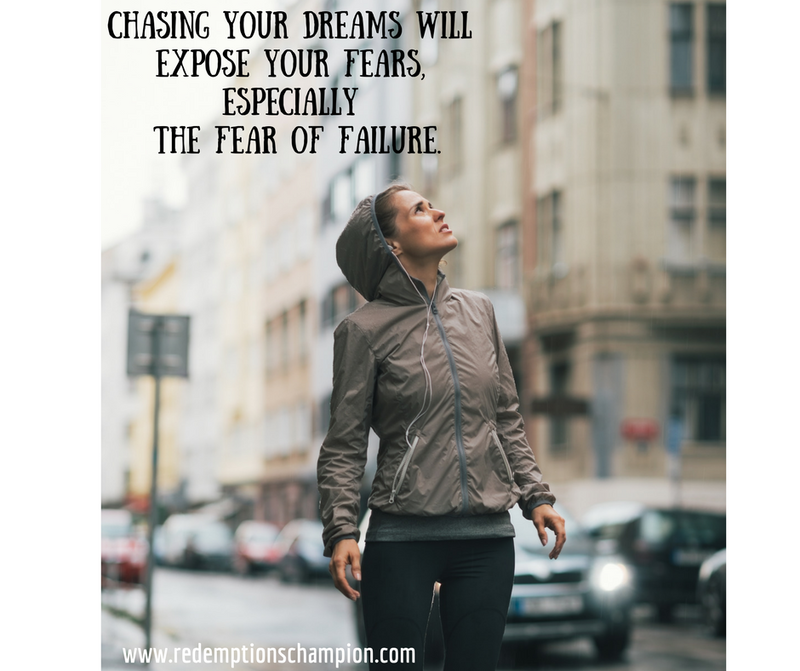 I have found that chasing your dreams, will expose your fears, especially the fear of failure. This is the first step, in my journey, to overcome fear of failure. I am stepping out in faith to do things I am terrified to do, things I may or may not be qualified to do and to pursue a dream until His will is accomplished. I am attempting to do what would be impossible without Him. Here at Redemption's Champion, I raise my ebenezer. This is my God given dream. My way of living my inheritance this side of heaven. The story must be told, we have a Redeemer. He redeemed our lives from the pit. He restores the years the locusts have eaten. He gave us eternal life through the greatest sacrifice, His son Jesus. What has he redeemed you from? How does that free you to dream again? Will you? What is your dream?